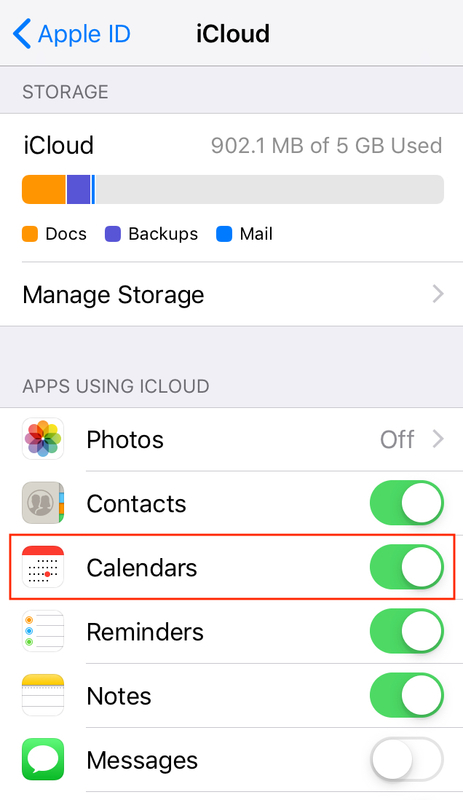 You can easily sync Calendars 5 with the iCloud calendar on your iPhone or iPad. Launch Calendars 5 and tap at the top right. Tap at the top left. Launch Calendars 5 and tap . 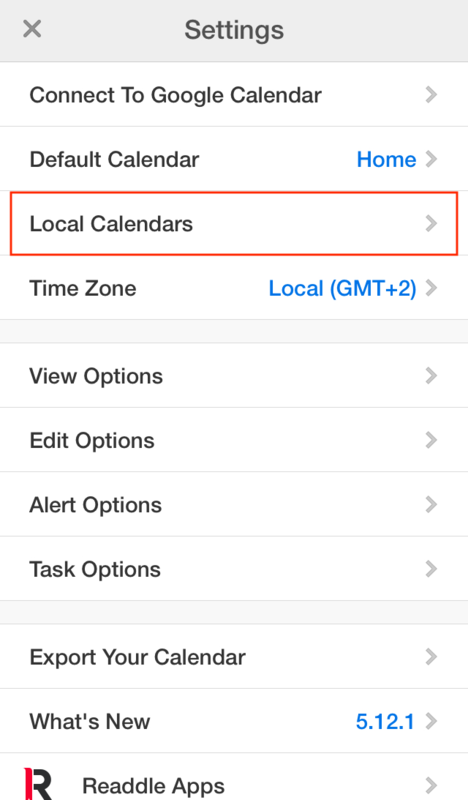 Now, the events from your iPhone or iPad calendar are displayed in Calendars 5. 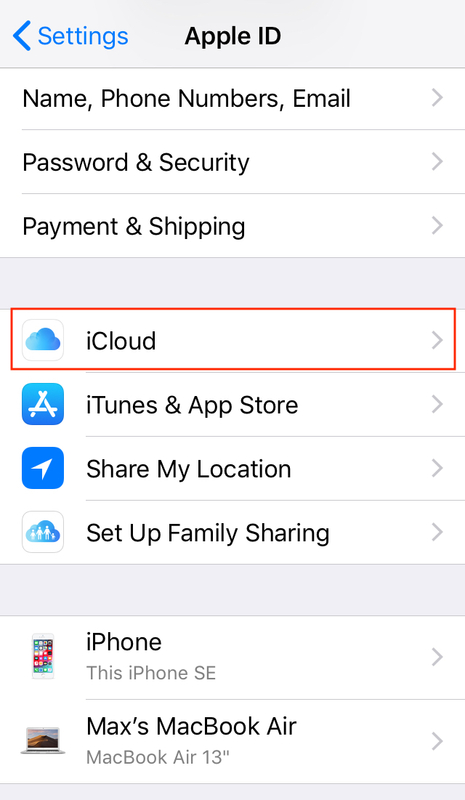 To sync the calendars across your devices, make sure you're signed into the iCloud with the same Apple ID on both your iPhone and iPad. Tap your name at the top and choose iCloud. If you use iOS 10.2 or earlier, tap Settings > iCloud. 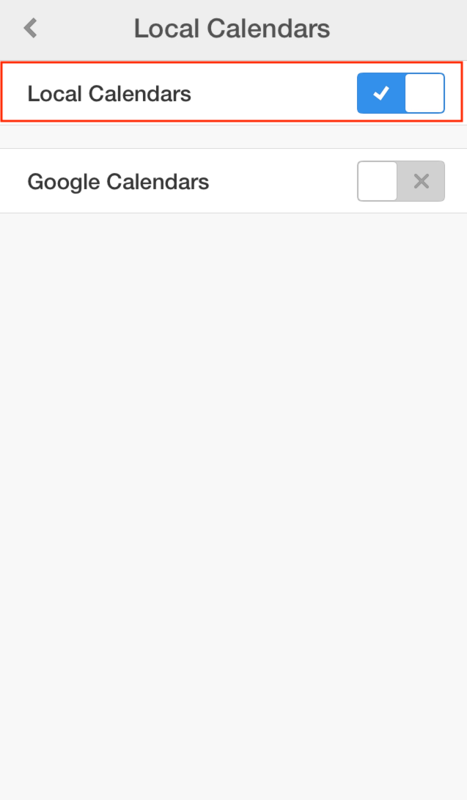 Enable the Calendars toggle. Make sure it’s enabled on both iPhone and iPad you want to sync.